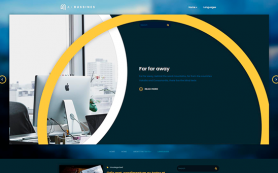 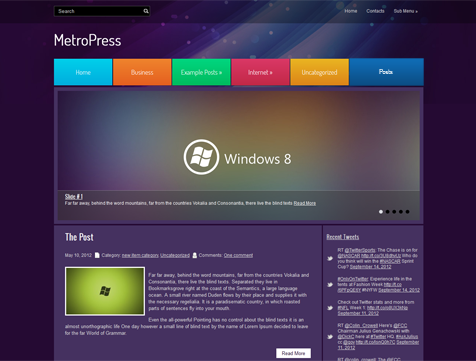 If you love technology and Windows operating system in particular then you will love MetroPress since this premium WordPress theme takes inspiration from the Windows 8. 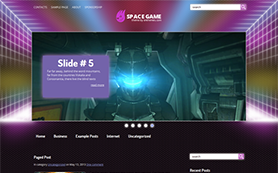 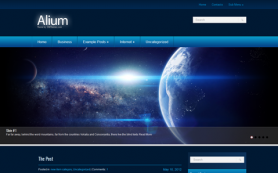 The theme has a rich and unique navigation bar resplendent with five colors, out of which dark purple is the dominant one that forms the background. 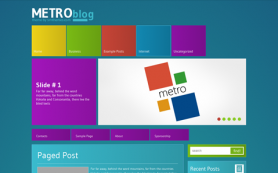 So if you are a creative developer or a gadget blogger looking to make a name for yourself then MetroPress is apt for you. 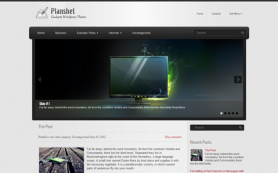 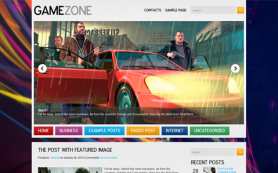 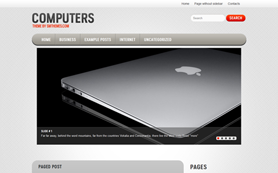 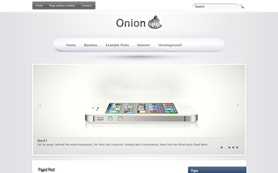 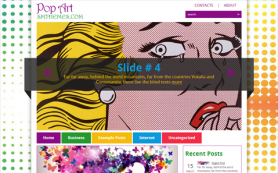 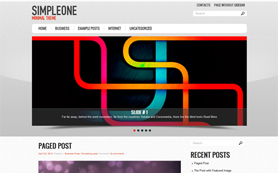 Download the free theme to enjoy all its great features or buy to get the link-free version for your business.